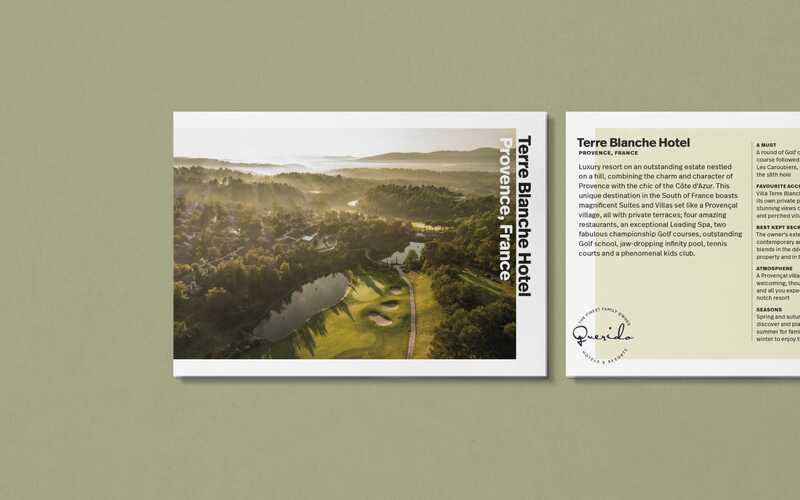 Custom postcards for the luxury travel industry, showcasing unique properties across the world. Carlos Quereda is the North American ambassador for unique properties across the world, representing a collection of the finest family-owned hotels and resorts. 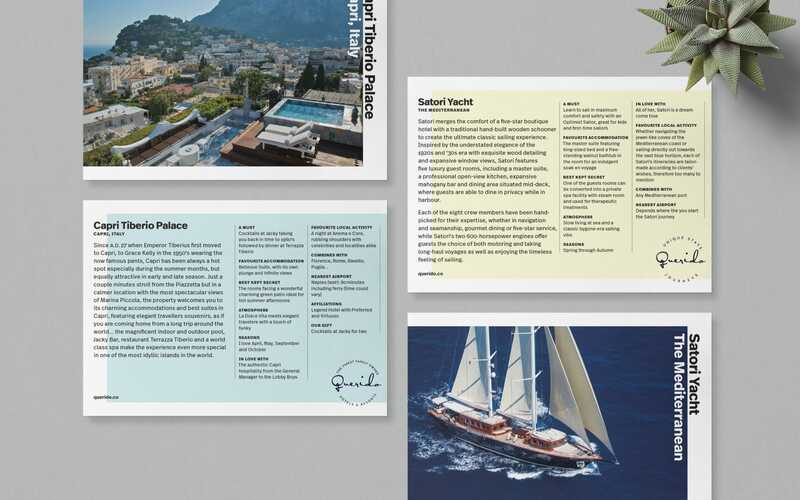 To provide the luxury travel industry with Carlos' tailor-made service, we created a set of postcards featuring each property with a custom folder, allowing each set to be tailored to the client. Carlos was previously using a global brochure to showcase the properties he represented, but it came with issues. 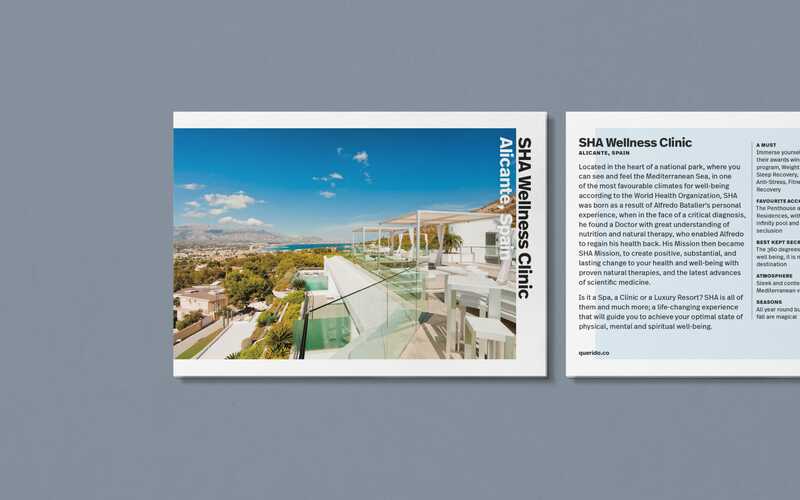 Moving to postcards allowed him to add new properties easier, and tailor a custom package of cards to clients, all housed in a custom folder. 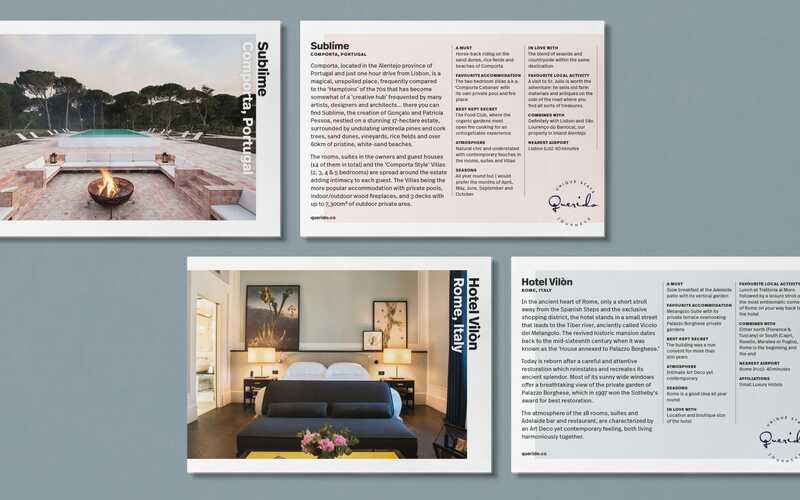 Each property has its own card with an overview of what makes them special, as well as Carlos' personalized list of tips, further showing his experience. 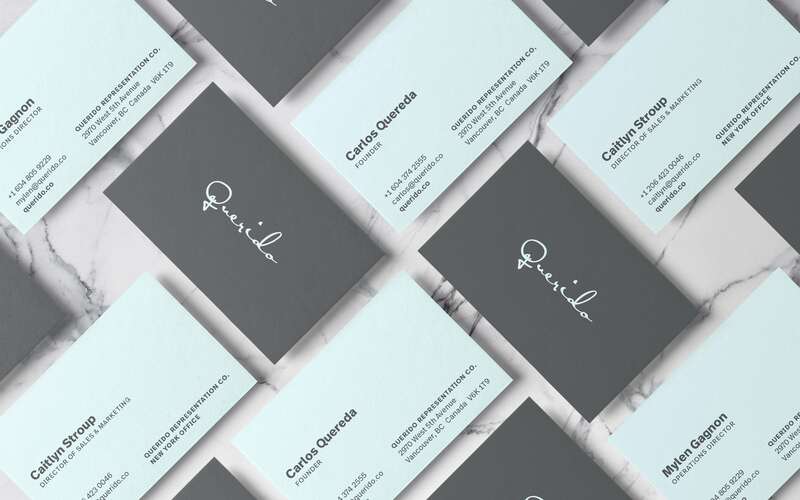 Business cards were printed in clean and elegant colour palette of dark grey and light turquoise.